Preparing for Lawsuit? 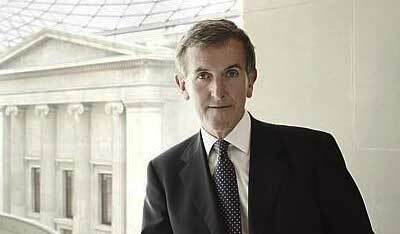 Why Might Neil MacGregor Be Doubling Down on His Elgin Marbles Bet? In his sudden, astonishing campaign to make piecemeal loans of Parthenon Marbles to foreign museums, Neil MacGregor—a lawyer before he became a museum professional—may be laying the groundwork for the British Museum’s defense against the Greek government’s contemplated lawsuit to reclaim the so-called Elgin Marbles. After I posted my perplexity as to why the always astute MacGregor would do something so seemingly clueless as to suggest that the irate Greeks should be “delighted” with the British Museum’s dispatch of River-God Ilissos to Russia, I learned, to my further astonishment, that this loan may not be a one-off in celebration of the 250th anniversary of the State Hermitage Museum. Mr. MacGregor said the talks had been under way for “a year or so” and would continue in spite of Greece’s opposition to the loan of the Ilissos sculpture. So it now appears that Ilissos’ odyssey—the first time that a piece of the Parthenon has ever been deployed as a cultural ambassador by the British Museum—may be part of an orchestrated campaign to help the world “understand something of the great achievements of Greek civilization,” as MacGregor put it in a BBC Radio 4 interview about the Russian loan. To try to understand this sudden shift, whereby “conversations in train” could become a runaway locomotive, you may need to think like a lawyer, not a museum director. One person you should think about is Amal Almuddin Clooney. George‘s Lebanese-born wife, a British lawyer, is the most famous member of the legal team that may soon “commence legal proceedings against the British government and the British Museum” in international court, such as the International Court of Justice or the European Court of Human Rights, as reported by Nick Squires of the Telegraph. That may happen after the deadline this March for responding to UNESCO’s 2013 request for the British government to enter mediation on the dispute. The British government, however, doesn’t actually own the marbles; the museum does. But the British Museum is subject to British law prohibiting disposals from its collection. The Greeks are now trying to sweeten their pitch for the marbles in the British Museum. They have offered Britain major exhibitions of other ancient art. They have also stopped asserting ownership of the expatriate slabs, asking instead for the [Parthenon frieze] panels to be returned as a long-term loan [emphasis added]. I don’t know whether the long-term-loan compromise is still on the table. But through his newfound enthusiasm for divvying up Parthenon parts internationally, lending them to major museums, MacGregor may be trying to bolster one of his institution’s chief arguments for retaining possession of Lord Elgin‘s bounty (or booty, as some believe): More people view these cultural treasures in London than in Athens. And now, with the incipient loan program, the British Museum’s reach could be further broadened. Therefore, the world is better off if custodianship of these treasures remains in London. Somehow, I don’t think that line of reasoning would hold up in court.